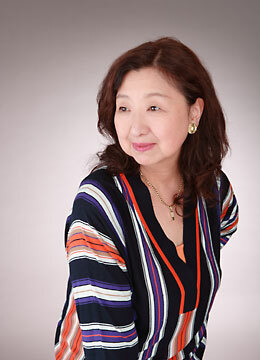 Hiroko Miki began taking piano lessons in her native Kyoto, Japan, at the age of 4. Studied piano at the National University of Music and Performing Arts, Tokyo, from which she graduated . Continued her studies with Ludwig Hoffmann as a German Academic Exchange (DAAD) scholarship-holder at Munich Academy (graduated with a master-class diploma), then with Hans Leygraf at the Mozarteum University, Salzburg (graduated with distinction). In order to intensify her studies, Hiroko Miki participated in various master-classes, with, for example, B. L. Gelber, A. Foldes, L. Naumow, R. Smendzianka, and C. Zerah. During this time she won numerous prizes at international competitions, including R. Schumann, Maria Canals, Musica Masterplayers in Orvieto, Busoni, Finale-Ligure and Vercelli. Since 1983 teaching at the Mozarteum University. From 1986-2003 teaching assistant to Hans Leygraf and concurrently had her own piano class at the Conservatory of the Province of Tyrol, Innsbruck. Granted a national professorship in 2003 and since then has directed her own piano classes at the Mozarteum University in Salzburg until 2017. Shifted residency to Japan after retirement from the university in 2017. Alongside her teaching commitments, has performed numerous concerts with orchestras, and solo recitals in Austria and abroad. Her repertoire ranges from J. S. Bach to contemporary music. She has received various awards for her work, including the Ataka Prize, the Japanese Chopin Society Chopin Prize, the In Memoriam Professor Kurt Neumuller Special Prize in Salzburg, and the Critics` Club Prize 2002 in Japan. Her CD-recordings include Beethoven`s last 3 piano sonatas as well as works by Mozart, Schubert, Schumann, Brahms, Chopin and Debussy.